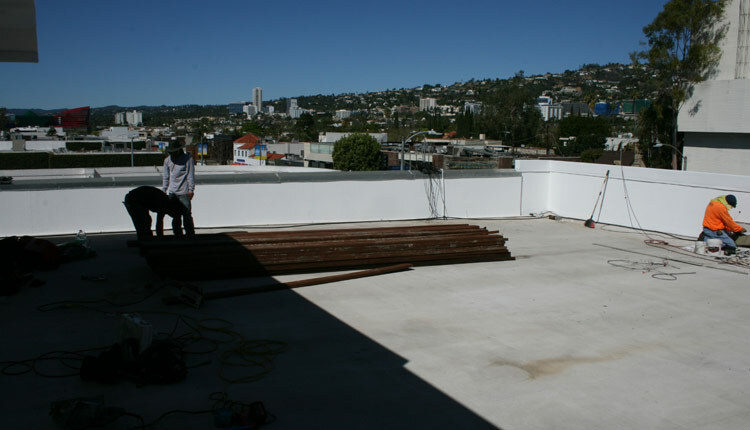 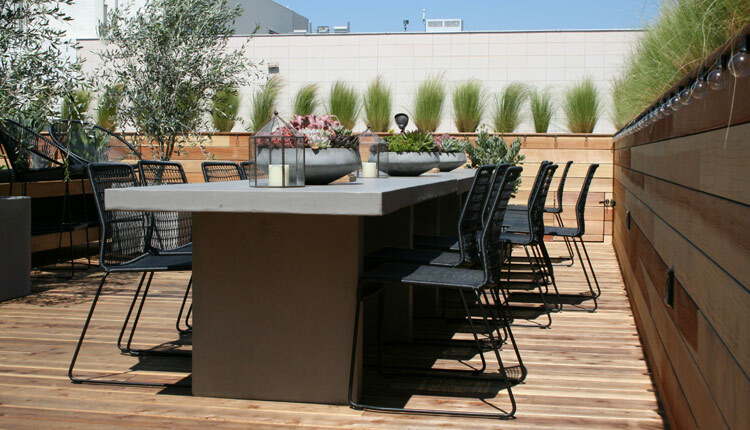 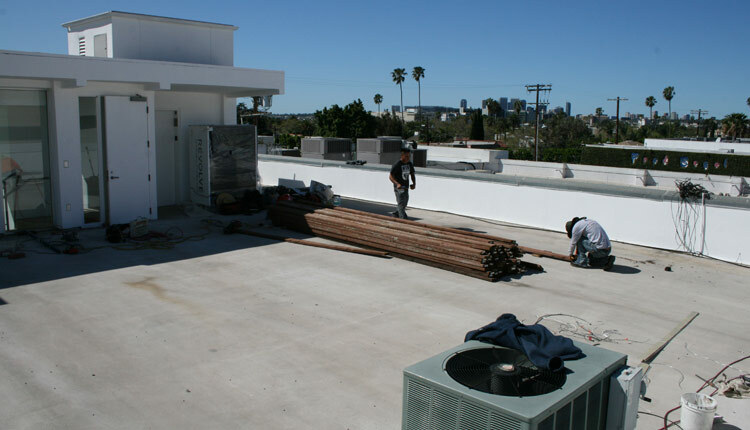 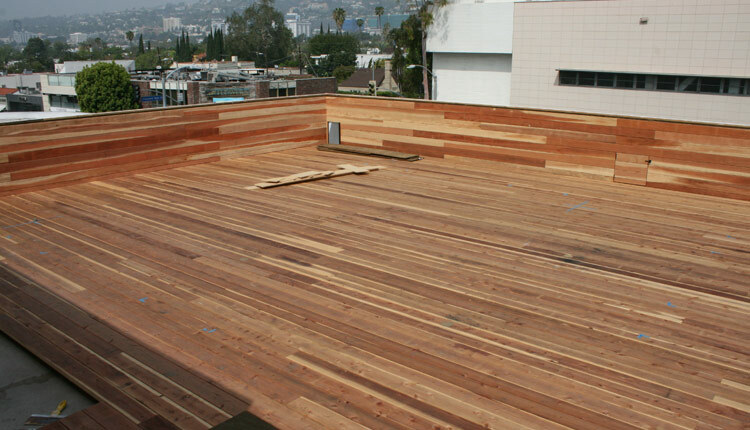 Melrose Roof Deck project of Danny Deck Construction, Inc.
A huge Redwood roof deck and planter boxes start with preparation such as moving the AC condensers away, installation of all electrical fixtures needed (to be flush with deck surface) and clear anything on the way. 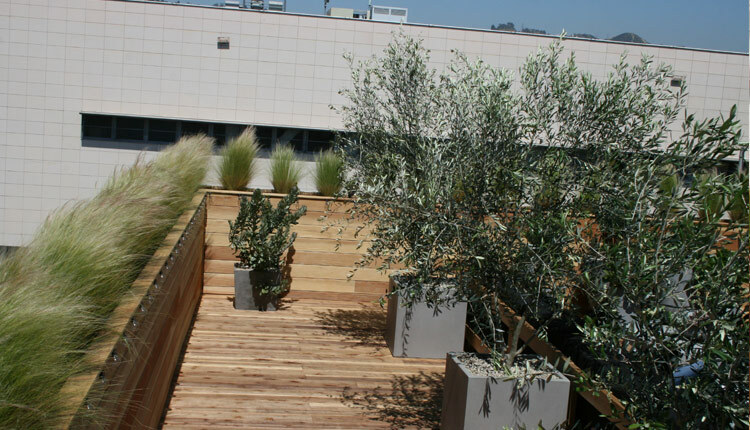 Custom planter along three walls to provide a more esthetic look and covering the walls and security so kids can not climb on the rail. 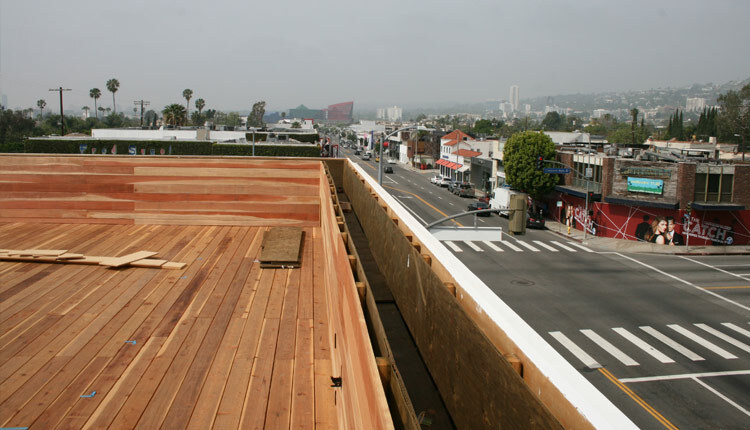 We build the sub-structure using high-pressure wood members and galvanized bases level it to compromise the unevenness of the roof surface. 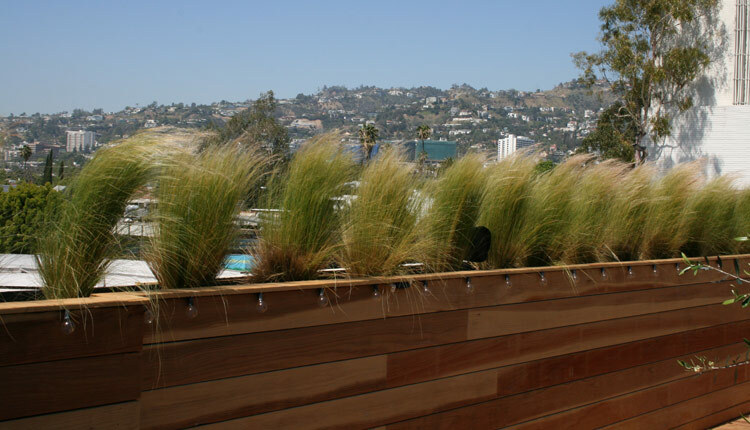 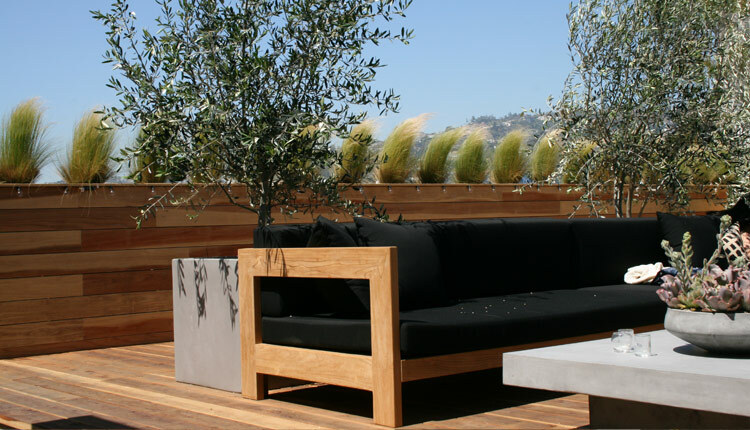 At last installing beautiful Californian native sustainable harvest Redwood attach to structure and planter boxes as horizontal Redwood siding.